Ibrox Noise: Should Rangers make ambitious move for £8M Tottenham defender? Should Rangers make ambitious move for £8M Tottenham defender? 20-year-old, 6’ 3” Juan Foyth is a centre half who is signed to Tottenham Hotspur and plays for the Argentina U20’s team. On 30 Aug ’17, Foyth joined Tottenham Hotspur for a reported £8m on a five-year contract until 2022, and has played for Spurs in 5 F.A. Cup ties, 2 League Cup games and a Continental match. Foyth started playing for a number of years in the Estudiantes de La Plata Youth academy, initially as an attacking midfielder, then moved to a central defence before he turned 16. He only played 7 games before Tottenham Hotspur bought him as part of their new long-term-planning scheme. In 2017, he made 12 appearances for the Argentina national youth team: nine at the 2017 South American Youth Football Championship in Ecuador, and another three during the 2017 FIFA U-20 World Cup. Mauricio Pochettino raved about the massive potential of Juan Foyth and revealed that it took three months to convince the young Argentine defender to join Spurs. Tottenham saw him playing for Estudiantes, and started to talk with him and his family to try to convince him to join them. It was a big deal to arrange because a lot of clubs were interested in him, and in the end he decided to move to London. Pochettino waxed lyrically about how good he is with the ball at his feet. He thinks it’s fantastic how calm and relaxed he is under pressure. Of course he is still young, but he is very strong and aggressive, a great mentality and so mature for his age. 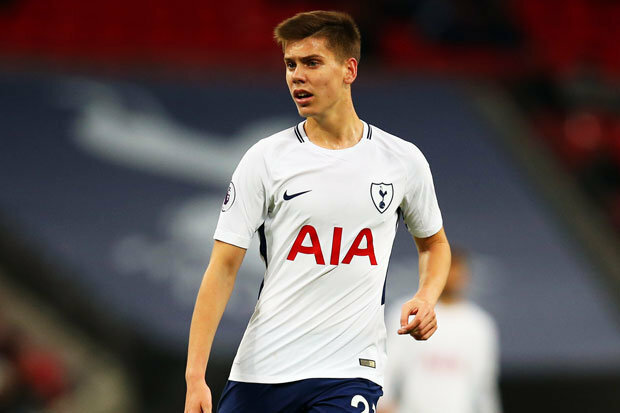 Spurs manager Pochettino thinks that a loan-deal to a top class side would benefit the new club and themselves, and give Foyth the experience of playing first team football for a season. If Rangers bid for his loan services, they would have to guarantee Juan a decent amount of first team action. You may have better luck with Cameron Carter Vickers, who Spurs did loan out last year. Foyth played in cup games and looked cultured. Poch will probably keep him to oversee his development. Come on Rangers, get out and develop some home grown talent - Scotland needs them!